Continuing to positively impact communities, Grenlec joined the Fontenoy United Club, Government officials and community members to turn on lights at the Grand Mal Playing Field on Saturday, 16 April 2016. The lights were turned on by Dr the Right Hon. Keith Mitchell, Parliamentary Representative for the area, who also took the first kick in the football match that followed. Acknowledging Grenlec’s contribution, Dr Mitchell spoke about the proven link between the provision of facilities and community development. 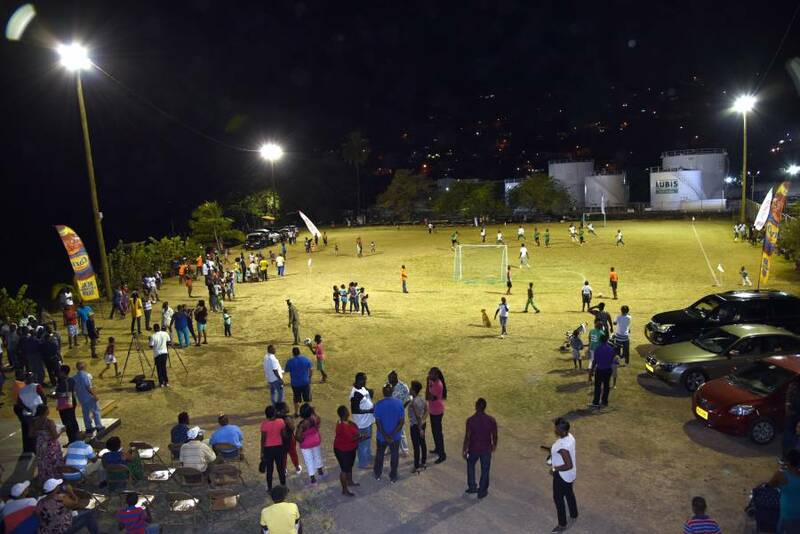 The lighting of the Grand Mal Field follows the turning of the sod to mark the start of construction of a public washroom in Petite Martinique funded by Grenlec. 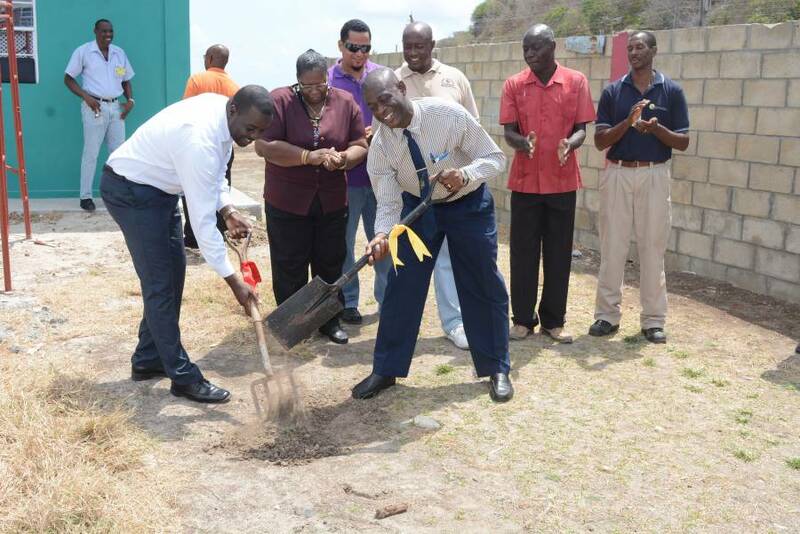 This collaboration between the Ministry of Carriacou and Petite Martinique Affairs and Grenlec is the first of two projects recently celebrated in Carriacou and Petite Martinique. Grenlec contributed to the second project, a 113.4 kW solar plant at Limlair Carriacou. Grenlec’s contribution included construction of additional high voltage lines from Belvidere Cross to Limlair. Grenlec is a proud partner in this initiative together with the Caribbean Community Climate Change Centre (5 C’s), United Kingdom Agency for International Development (UK AID), the European Union through the AFRICAN Caribbean and Pacific Global Climate Change Alliance Programme (EEU GCCA) and the Government of Grenada. The solar PV plant was constructed to offset operating costs for the Saltwater Reverse Osmosis System located at Petite Martinique. Through its Community Partnership Initiative, Grenlec has invested more than $18 million in communities throughout Grenada, Carriacou and Petite Martinique since 1994.